20 Stylish Valentines Decoration Ideas That Won't Bust the Budget! Home / Savings Blog Posts / How to Save Money / Do It Yourself / 20 Stylish Valentines Decoration Ideas That Won’t Bust the Budget! 20 Stylish Valentines Decoration Ideas That Won’t Bust the Budget! Looking for ways to dress up your home or office this Valentine’s Day without breaking your bank? Here are 20 stylish and creative Valentines Decoration Ideas that are affordable! You can still have those adorable decorations without spending more than you have in your monthly budget. I am all about nice things but buying them on a budget. I love deals, and I also love crafting and making homemade decorations for holidays. You only use the item for a short while then place in a closet and wait a year to bring it out again. So why not create some pieces that work year after year that are quality but affordable! Enjoy these DIY Valentines Decorations that are budget friendly. This simple vase with candy hearts and roses can transform a room instantly. You can find $5 bundles of flowers at the grocery store, and buy a bag or two of candy! How cute is this pine cone rose idea? Grab a vase and transform those pinecones into a lasting centerpiece for your desk, table or nook in your home. If you have a mason jar or even another type of jar you grab some paint and make your own decoration piece. Toss in some candy, use as a vase, or display as is. Grab some construction paper, scissors and get to work on making one fun and creative valentines XOXO garland! Easy, simple and only a few supplies required. Head outdoors find some twigs, and bring them in and create a fun and creative Valentine’s Day tree. I love how simple but stunning this craft looks. 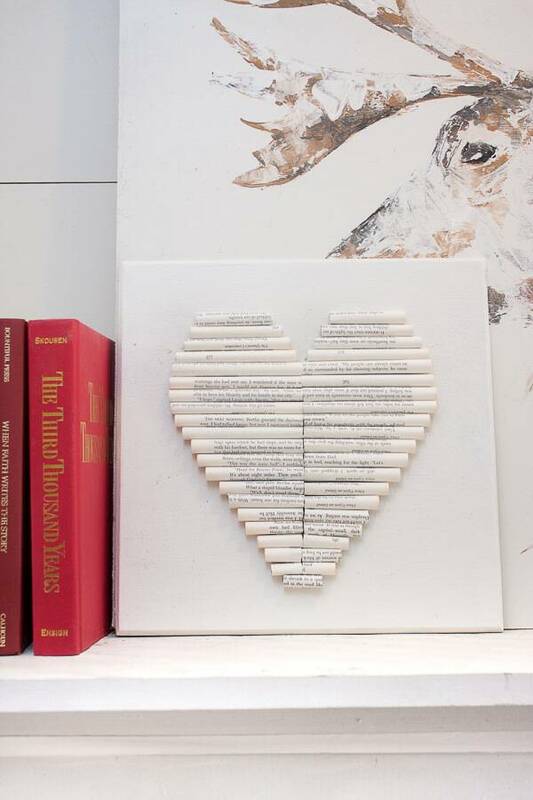 Grab an old book and transform it into a decor piece that is timeless for Valentine’s Day. 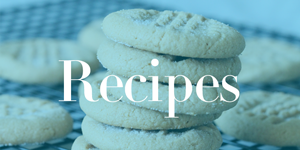 Simple, easy, and super affordable to do. If you don’t have an old book you want to part, head to a thrift store! How adorable is this simple look? I love how it totally transforms the space with minimal work. Even if you are not a huge crafter this is a really easy idea. Conversation hearts are the perfect decoration for Valentine’s Day. Buy them on sale and it makes for cheap decorations. Here is one more creative idea on how to use these sugary hearts. I love a good garland, and this yarn pom pom craft is a must for me. I love the simplicity of this craft. Hang in the kids room, over a mantle, or anywhere else in the home. 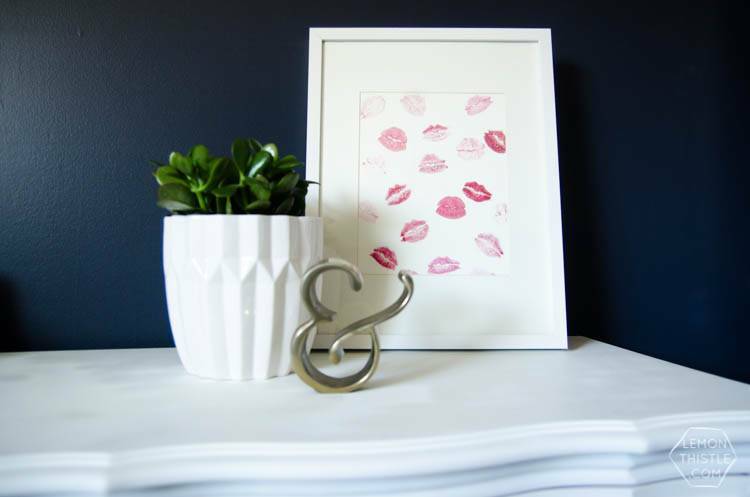 With a little lipstick and a clean sheet of white paper, you can make a one-of-a-kind decor piece for your home! How adorable is this, and simple at that? I love hanging wreaths on the wall in the home or to greet guests on the door. Either way, this white rose wreath is a winning craft for sure. This is a no-sew craft that doesn’t make too much time to make. With a few supplies, you have a really stunning flag to hang in the home, office, or even outdoors. Grab your favorite candles and burlap and give it Valentine’s Day twist! I love the simplicity of this craft but can really give your space a loving feel. Another lipstick craft that is gorgeous! You could make this in under 30 minutes and have it put out on display to greet guests. Grab some cardboard letters and yarn, and give your own style to your home. This is a really simple craft that takes around 20-30 minutes to complete. Here is a really simple way to dress up your mantle that won’t cost a ton. Better yet if you have some supplies already on hand! Give it a try today. Buy some cheap coasters and give them a sparkly makeover! Then you have coasters that scream that heart day we all know and love. Grab some coffee filters and learn how to make your own wreath for just dollars. So so easy and boy does it look stunning! This is similar to the other style I shared above, but I loved it so much I couldn’t exclude it. A really affordable Valentines Day craft for sure. Whip up a banner in a hurry! I love this Love banner, it is so creative and of course simple to whip up and hang in your home, office, or even decoration for a party. What is your favorite Valentines Day Decoration Idea from the List Above?